When purchasing at kkrogh.dk you automatically accept the terms and conditions stipulated below. Consequently, we recommend that you read the terms through carefully before purchasing. We accept the following debit and credit cards: VISA, MasterCard, American Express, JBC, Discover Card and Diners Club. We don’t charge any fees for credit card payments. You can choose to pay either with your credit card or via PayPal. All prices are stated in Euro and includes 25% VAT. In order to purchase items at kkrogh.dk you must fill in your personal information and payment information. Once your order has been placed you will receive an auto-generated order confirmation via email. When your purchase has been accepted and the item is registered in our stock, you will receive a shipping confirmation. SHIPPING TO YOUR BUSINESS OR HOME ADDRESS? We will happily ship to your home address, but for the fastest delivery, we suggest that you use your business address as there is always someone present to receive your package. Please note: All Danish orders will be delivered to the nearest GLS parcel shop. All goods are sent from Copenhagen, Denmark and can be shipped worldwide. Freight charges will appear from the order confirmation before you pay. All goods are delivered via GLS or PostNord as parcel post, which makes it possible to trace the parcel. NB! Orders with only postcards and notebooks are shipped as regular letters without tracking. We carefully pack goods in protective boxes or tubes to secure that products will arrive in perfect condition. However, if the content is damaged upon receipt, please report this to us immediately or at the latest 2 days after receipt to hello@kkrogh.dk. If you order from a country, which is a member of the EU you pay Danish VAT but no customs duty in accordance with the rules of free movement of goods. However, if you order from a country outside the EU local taxes and duties may be added, for which we cannot be held responsible. If this is the case the carrier will contact you. Please note that this could involve some delay of the consignment, as the goods are retained by the customs. From this point it is your responsibility to contact the carrier and pay for the added additional costs. These additional costs are solely your responsibility and cannot be used as cause of return. The risk of goods ordered in Kristina Krogh’s webshop passes to the buyer when the right of cancellation expires 14 days after receipt of the goods. If the product is damaged or impaired once the buyer has received it, he retains his right of cancellation if the damage or impairment is not due to negligence or lack of care on his part. Remember to save the original product packaging as in the case of a complaint or damage the product must be returned in its original packaging. Any errors or defects in products/goods supplied by Kristina Krogh must be invoked within two months after you have discovered the error or defect. It is your duty to state and, upon request, describe how the error or defect has manifested itself. 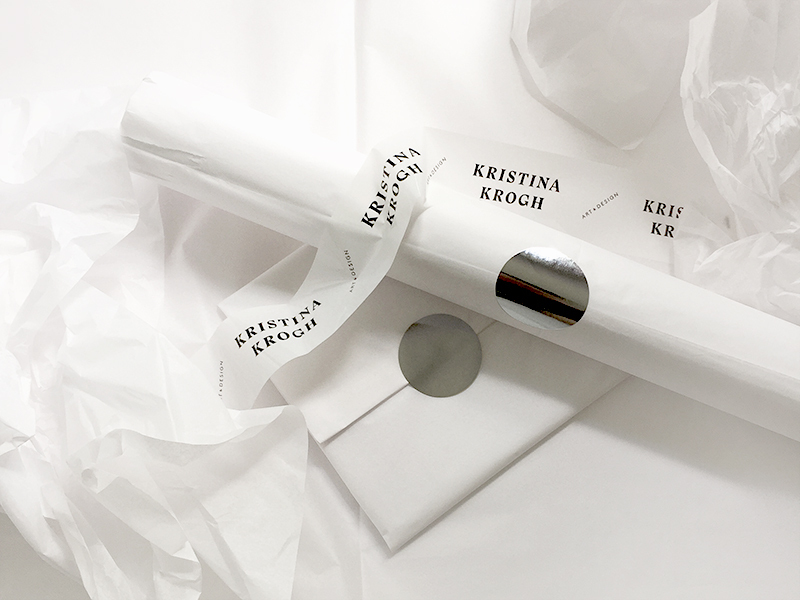 If you discover an error or defect, please contact Kristina Krogh Studio. Complaints about errors or defects must be made within two years of your receipt of the goods. 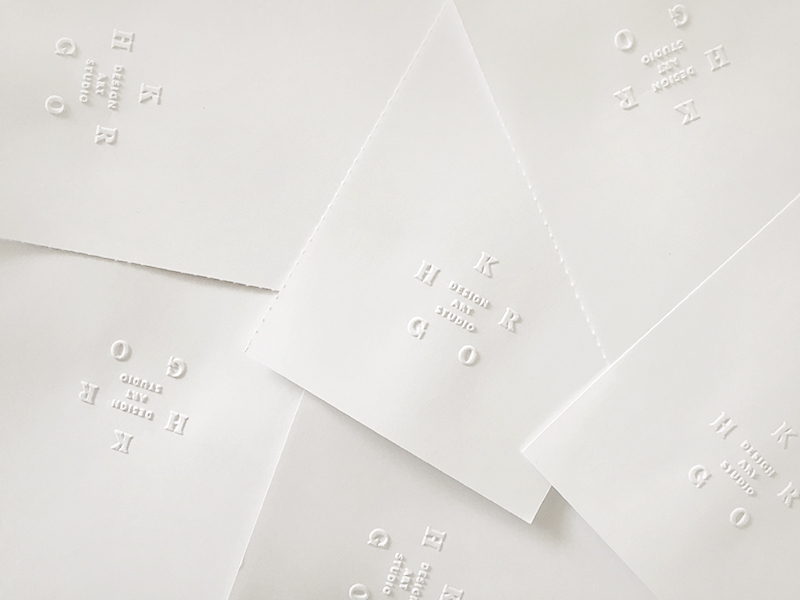 For products with limited durability, your right to complain is restricted to the period of durability of the product as promised by Kristina Krogh Studio. You as a consumer can choose to have the product repaired or replaced. This rule does not apply if a replacement is impossible or would involve excessive costs for Kristina Krogh. All communication between our payment system and the cardholder is made through an encrypted SSL-line (Secure Socket Layer). In other words only Stripe and Paypal have access to your data. It is not possible neither for us nor any other unauthorized entity to see or read data, which is exchanged in connection with the purchase. You can sign up to receive our newsletter > here. When joining you will receive information about new products, special offers, events etc. This service can be switched off at any time if you don't wish to receive the newsletters anymore. The content on this website is protected by intellectual property rights and belong to Kristina Krogh. Any material on the website, including image pictures, designs and graphics, may not be reproduced, and it may not be used commercially without referring to Kristina Krogh. Shopping at kkrogh.dk requires the following information from you, as a minimum: Name, address, telephone number and e-mail address. kkrogh.dk only records this information with a view to delivering the items you order and to offer you the best possible shopping experience. Your personal data is stored by Kristina Krogh Studio. Please note: We do not store personal payment information such as card numbers etc., and none of the information we receive from you will be shared with any third parties. Kristina Krogh Studio is required to protect your privacy and your security as a user of kkrogh.dk. The information you provide when you place an order on our website is only used to provide a smooth and simple shopping experience. The data is treated in careful accordance with all current privacy regulations. No data that identifies the individual shopper is passed on to any third parties. The only statistical data that is collected and shared with any third parties concerns customer traffic and commercial information. This information is shared with the sole purpose of improving your user experience at kkrogh.dk. We offer a 14 days refund (excluding shipping costs for the return) upon receipt of the package, if you change your mind. The items must be returned unused and in the same condition as they were upon receipt, in the same original packaging. Note that the right of withdrawal is annulled if you use or damage the product in a way that obviously reduces the sales value significantly. Returns and exchanges happens at your own risk and expense, and is to be handled by you. If you wish to return an item please contact us at hello@kkrogh.dk before returning any items, and we will provide you with directions for return. Remember to state your order number and relevant contact information in the e-mail. Please note that the cost of returning the item is to be paid by you. If a returned item is shipped from a country outside the EU, please clearly mark the package ‘RETURNED GOODS’, to avoid any customs charges. Kristina Krogh is not responsible for any customs charges regarding the returned parcel. Any charges incurred are the responsibility of the customer. A copy of the invoice must be enclosed together with the parcel. The items must be send as a parcel with a Track & Trace number as this guarantees that the items will arrive at their destination. It is not an option to return your order as a parcel without a tracking number. Please remember to keep your tracking number as a documentation that the items have been sent. We may retain the refund until we have received the returned items or until we have received documentation that the items have been returned, whatever comes first. When we have received the items and approved the return we will transfer the full purchase amount to your account within 10 business days. If you return all items in your order we will refund the original shipping costs, if you however only return part of your order we will only refund the items cost.